Kathleen A. Cooney, DVM, MS, is founder and owner of Home to Heaven, P.C., a mobile veterinary hospice and euthanasia service based in northern Colorado. Jolynn R. Chapell, DVM, is in private practice, specializing in exotic medicine, at Aspenwing Bird and Animal Hospital in Loveland, CO.
Robert J. Callan, DVM, MS, PhD, Diplomate ACVIM, is a professor at Colorado State University (CSU) in the Department of Clinical Sciences and service head of the Livestock Medicine and Surgery Service at the CSU James L. Voss Veterinary Teaching Hospital. 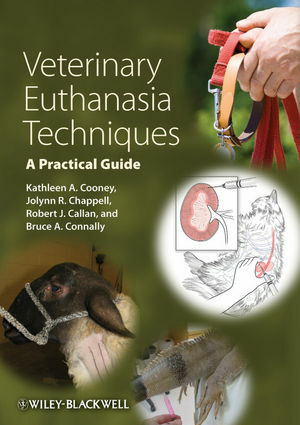 Bruce A. Connally, DVM, MS, is a former assistant professor and faculty member in equine ambulatory services at CSU. Footnote a on Table 2.2 on page 34 should actually read that those products are not currently marketed in the United States.